Director #Joachim_Rønning says he aimed at making #PiratesOfTheCarribeanSalazarsRevenge as the best movie ever in the series. "We wanted to make the best ‘Pirates' movie ever. 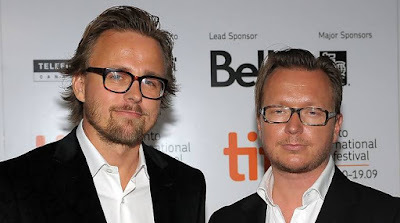 We wanted to create fun, spectacular action, an epic movie with a very strong emotional core, and great characters," Rønning said in a statement. He added: "We've been working hard now for years to get in the spirit of the first film, and at the same time make ‘Salazars Revenge' feel fresh and new. Now it's up to the audience to see if we accomplished that." The title of the fifth instalment of the "Pirates Of The Carribean" franchise is known as "Pirates Of The Carribean: Salazar's Revenge" in India, Asia, Russia and Europe. And "Pirates Of The Carribean: Dead Men Tell No Tales" in the US. Bruckheimer said: "It's been such a privilege, and we owe it not only to the great artists and craftsmen on both sides of the camera who have worked on the ‘Pirates of the Caribbean' films, but to audiences around the world with whom these movies have struck such a chord. "All we've ever really wanted to do is to entertain them, bring them into a different world for a few hours, and little did we know that we would have brought them into that world for nearly fifteen years."